Arsenal Analysis: Change of players or change of attitude against Watford? Change of players or change of attitude against Watford? This game against Watford is the most crucial game for Arsenal in the race for the CL spots. Loose it and to all intends and purposes you are out of the race for the top four. This is because the dreadful away form that all media and pundits are correctly talking about will become the norm of what to expect from Arsenal for the rest of the remaining games. And the remaining games contain another 3 away fixtures (Wolves, Leicester and Burnley)…. Beat Watford and the mood changes, the media and the pundits change their tune and more importantly the players begin to believe that they can win away. And they can carry this belief forward. This is why Emery should choose to play to Arsenal's strengths and not overdo the attention he gives to combating Watford's threats and physical approach. 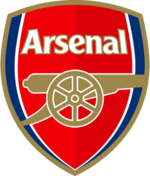 Arsenal's strength lies in attacking play and controlling the game from midfield. Just as they try and do at home games. Changing the personnel (as he is thinking of doing) and the style of play for the away games will not work and evidently has not worked up to now. This is why he has to select his best 11 and go all out for the win at Watford. He should treat it like a Cup final. This means that both Lacazette AND Aubameyang have to start tonight up front. Torreira and Xhaka (or Guendouzi) can play in front of the defence. Ramsey a bit further up with Ozil rested. Unfortunately Mustafi will have to come in alongside Koscienly and Monreal with Maitland Niles and Kolasinac as wing backs.